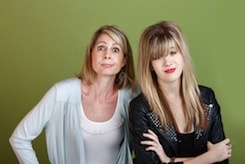 No matter how amazing your family is, you will always encounter the occasional frustrating moment with them. It’s not unusual to have one or two people in your extended family that, for whatever reason, just rub you the wrong way. Most adults can navigate these situations pretty well on their own; however, when everything that person does affects your child that easygoing perspective can quickly change. There are a few tips to help address these issues in a healthy and productive way. Define what drives you nuts. It can be easy to make small issues into bigger ones during particularly emotional moments. 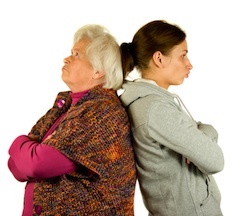 When you are faced with a family member that really drives you nuts, you need to define exactly what it is about that person that makes you angry. Perhaps the issue is with you just as much as the other person, and the feelings you have can be worked though without creating any kind of division within the family. If the issue at hand has more to do with how you want to raise your children or is in some other way non-negotiable, you need to recognize and verbalize to yourself and a friend why it is so important. Define your needs in the relationship. You need to seriously ask yourself what this relationship is worth to you. If you are a single mom and this person is one of the only family members that you can turn to for help, you are going to be more willing to let go of the irritants you have in favor of the help they provide to you. However, if you have plenty of support with your kids from other means, those issues may be a bigger deal. Don’t try and be the “fixer.” Believe it or not, some people like the way they are, even if everyone else does not. Trying to fix the annoying habits a family member has will never work and will only cause you to be more at odds with that person. Express your concerns to the person. Very few people like confrontation, and those that do like it rarely ever go about it in the most beneficial manner. Many times people that are being annoying don’t realize how they are coming across to other people. There are plenty of relationships that could be saved if the person that is annoyed would simply and gently face the offender. Go to the person in a sincere moment. Start by saying something you really love about that person. Gently express your frustration and then offer a possible reason or solution that is realistic. End the statement with another positive thing that family member brings to your life. Know when to walk away. There are lots of reasons to keep a relationship with a family member going, but if that relationship is causing you more stress and hardship than it is care and love, it may be time to let it go. This may not mean that you never speak to that person again, but it does mean that you stop relying on that relationship for any emotional or physical support. It means that what he thinks or does doesn’t upset you. You just let him live his life. This will not be easy, and when you start emotionally walking away from the person, he may notice and ask you why. You should be prepared to tell him. This may be easier if you have had previous conversations about your frustration; just don’t expect the person to be happy. Remember that when it comes to your children, you are their protector. There will always be a family member or close friend that takes more emotional energy than he gives. Use your best judgment to decide how to deal with the relationship and when to let it go for the sake of your family. 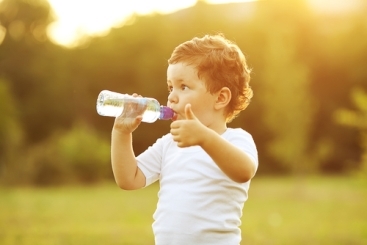 Dehydration is a dangerous situation, and it’s also one that’s all too common when the weather heats up and kids flock to the great outdoors in sweaty, enthusiastic crowds. Making sure that your brood stays hydrated while the mercury rises doesn’t have to be a losing battle, though. These tips can help you ensure that everyone in the family is getting the hydration they need, even when they’re running wild through the dog days of summer. Give your kids more water than you think they will need. They should be drinking regularly on warm summer days. Kids have a lot of energy, short attention spans, love to run around and may not stop themselves from having fun if they start to feel thirsty. Make sure you stop them so they can have plenty of water throughout the day. You’ll have to regulate their intake until your kids are old enough to realize they need to drink water on their own. Sticking with water also helps to eliminate any added sugars, dyes or artificial flavorings that are often present in sports drinks. If you wait until your kids say they are thirsty, you may have waited too long. Thirst is one sign of dehydration. Keep kids from falling victim to dehydration by making sure that water is always available and easy to obtain, and by encouraging them to rest on a fairly regular basis. Caffeine-filled drinks, such as soda and energy drinks, increase the risks of dehydration. Keep it simple with water whenever possible, substituting the occasional sports drink as a treat for special days. Encourage your kids to take breaks in shady spots, and to get out of the sun often. Even the shade of wearing a hat is better than nothing. That small break from sunshine will keep your kids feeling happier and healthier. You’ll want to keep in mind, however, that dehydration does not rely solely on a sunny day. If there is extreme heat under any sky, keep your kids indoors for the day. Your kids will love you if you tell them to eat as many popsicles as they can throughout the day. This simple, yet delicious treat will help keep your kids hydrated on those warm summer days. Have your kids take a break every hour or so while they sit and enjoy their popsicles. Either bring the kids inside to get them out of the sun, or encourage them to eat their treats under the shade of a tree. Consider a sugar-free version, though, as excess sugar can make dehydration worse. If your kids complain about the plain taste of water, consider giving them some sports drinks in place of water from time to time. Sports drinks are designed to hydrate, and are packed with things an active body needs, in addition to more than a few things it doesn’t. They replace lost electrolytes and other essentials that leave the body when exercising, playing or running around. They give your kids something different to enjoy, too, so that they don’t get sick of staying hydrated. Unfortunately, they’re also packed with added sugars, so you don’t want to rely solely on these drinks. Be sure to dress your kids appropriately for the weather. Light, loose clothes are best for hot days. Do not load them down with layers. Also, be sure they remain in dry clothing for the best results when it comes to keeping hydrated. There are signs you should watch for when it comes to juvenile dehydration. If your children show any of these symptoms, take action immediately. Decreased frequency of urination is one sign of dehydration. A lack of bathroom breaks often indicates that a little one’s hydration level is relatively low. If your child complains of a dry mouth or tongue, this can also indicate dehydration. Your kids probably still need a nap, but if they sleep longer than usual or are sleepy more frequently, this is a severe sign of dehydration and you might consider seeking medical help. Irritability is another sign you should attend to in many cases. Crankiness is normal, but an unusual amount of irritability could be serious. Step one is don’t panic. If you panic, you’ll send your kids into a panic, and that’s never a good idea. Start off by giving them water to drink, but don’t let them chug it down greedily. Even if they are horribly thirsty, chugging the water is not a good thing. Their bodies will not be able to absorb that water quickly enough, and it may make them even sicker. If conditions do not begin to improve, seek medical attention, but again, be sure you don’t panic. Dehydration can be horribly dangerous, but it’s a controllable and avoidable situation. Be sure your kids are getting the right amount of water and are getting the proper amount of shading throughout the day. Don’t let them stay outside all day, despite the temptation of letting them run wild and free. Creativity in a child gives him more than just the ability to play pretend or be artistic, it also leads a child to think and reason for himself. Having a well-tuned imagination will give your child an advantage when he enters the adult world. When he can look at an issue from many points of view and imagine several solutions he will be an asset in any career he chooses. Here are a few ways to help encourage creativity and abstract thinking in your child. Let your child be bored from time to time. If children are not too busy with their extracurricular activities these days, they are usually in front of some type of screen. There is little to no imaginary thought in TV, video games and computer games. When your child whines to you that he is has nothing to do, tell him that you are confident he will find something interesting to do and leave it at that. Let him come up with the activity. Be okay with messes and mistakes. Creativity requires trial and error. Trial and error sometimes means messes, and at times it creates mistakes. It can be very difficult for parents to accept that in order for their child to learn to think outside the box, he will have to first make a giant mess of that box. There is no reason your child cannot help you clean the mess up or fix whatever might be broken, but by making mistakes your child will learn a lot. Give your child warning when transitions are coming. For a truly creative child who is mostly in his own world, transitions can be challenging to say the least. You can assist your child in making these transitions by giving him several warnings when he is going to be required to participate in family events or go somewhere. Giving him a clear schedule with plenty of “play” time can help a child that does not tend to be creative to let loose and find his creativity. There are no dumb comments or questions. The quickest way to stop a creative child in his tracks is to say or act as if the things he observes or the questions he asks are silly. A child whose thoughts are creatively inquisitive should be encouraged. Encourage your child to come up with the answers on her own. As your imaginative child bombards you with question after question, it is important not just to answer his questions, but to encourage him to look for the answers on his own. Responding to him with your own questions can be a great way to accomplish this. “What do you think a few possibilities would be?” “How do you think you could find the answer to that question?” These are two great responses. When your child is younger, you can help him find the answers in books and online. As he grows, he should be encouraged to find the answers on his own. Celebrate your child’s individual characteristics. Siblings can often get lumped together, especially multiples or siblings with similar personalities. To grow creativity, parents need to recognize and praise their children for the individual talents that make them unique. Suggest rather than tell the child how to play. Toys these days seem to have a “right” way to play them, but a creative child will take that toy and make something new out of it. Parents that want to encourage this process will need to learn to be okay with pieces of toys being out of place and used for other means. Telling a child that he is playing “wrong” will stop the imagination process in its tracks. Get down and make believe with your child. The most important way to build any characteristic or habit in a child is to do it with him. If you want your child to learn to be creative, you have to first show that tendency. This can scare a lot of parents who don’t consider themselves to be very good at using their imagination, and some parents might even feel silly playing “pretend” with their child. However, it is possibly the most important way you can help your child learn to be creative on his own. Parenting a truly creative child is a high duty. Whether your child is creative artistically, loves to pretend or is just really good at thinking outside the box, letting him complete a project to see how it will end is very important. It can be difficult, but watching him discover the world through the process is priceless. 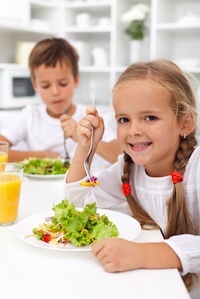 Whether it’s school starting early, having a hectic work schedule, trying to get the kids to afterschool activities or constantly being on the go on the weekends, it can be difficult to instill healthy eating habits in your children. Because of this, drive-thru’s and convenience stores can end up being a mom’s best friend. However, feeding your children meals and snacks from these places sends a strong, unhealthy and sometimes dangerous message. Commit to three meals at home together a week. The importance of eating meals together as a family cannot be underestimated. Having dinner at the table together helps build bonds that are centered on the very essence of family. Children naturally want to be with their family, and they will have positive memories of this experience. When you partner this family meal with healthy food choices, your child will be more likely to continue to make healthy choices because it subconsciously reminds her of the family connection. Try new foods together as a family. Young children are notoriously picky eaters. They tend to find a food they enjoy and want nothing else. They frequently refuse to eat foods that look, smell or feel different than what they are used to. Even mac and cheese made from a different box can cause a child to run screaming. To help curtail this pickiness, it is important to experiment with new foods as a family. Remember that it can take a child several months to get used to a new food. If it is a particularly offensive food, start with just putting a portion on his plate every day for a week. Next, you can encourage her to feel it with her fingers and even with her tongue when she is comfortable. This does not mean she has to swallow it, she just needs to put it in her mouth every day for a week so she can get used to the texture. Slowly she will begin to get more comfortable with it, and eventually you can ask her to swallow one bite. Children with high sensitivities to new foods may take up to a month before they’re comfortable trying the food, but other children will learn to eat it after a few days. The important thing is that you eat that new food right alongside your child. All family members eat the same thing. Avoid making special meals for your child if she does not like what she has. You can offer some extra of what she likes after she has tried the disliked food, but don’t make her mac and cheese just because you know she does not like meatloaf. Prepare ahead of time for the whole week. It is pretty easy to pre-make a lot of foods, from sandwiches and scrambled eggs to cut up veggies and baggies of grapes. If you have time on the weekend, assemble sandwiches that your child can take for lunch for the whole week and keep them in the fridge so you can just grab them in the morning and go. You can portion out some cut up veggies and fruit in bags too so they’re easily accessible in the mornings. You can even bake scrambled eggs ahead of time; this way your children can have a healthy breakfast, even on school days when time is limited. Bake them in muffin tins for the whole week and then freeze them. In the morning, microwave them for a minute or two, add a banana and you have a healthy school morning breakfast! Invest in on-the-go containers and foods. There is nothing wrong with needing to eat on the go. The extra 10 minutes it might save you in the morning or after school can make a huge difference. The problem is that “on-the-go” usually means fast food. This can be avoided by investing in containers and healthy foods that travel well. Do not neglect eating a healthy breakfast. For many adults and children, breakfast is an afterthought. Most of the time, people aren’t really that hungry when they have to wake up early in the morning. However, neglecting this meal has effects that last throughout the day. A child’s breakfast often consists of high carbohydrate cereals or sugary toaster meals with little to no protein. This causes a spike of energy to get out the door, but also causes blood sugar to drop quickly 30 minutes into the school day. Even young children do not have snack time until about an hour and half into class, so they are likely attempting to learn while their body and brain are hungry for more nourishment. This will often cause your child to be sluggish, easily distracted and unable to listen well. It might also cause her to reach for higher carb, sugary foods to satisfy her until lunch. Then at lunch she is more likely to start with the carbohydrate in the meal, and the cycle goes on and one. Do your children a favor and make a healthy protein filled breakfast a priority. You will be amazed at the difference in her behavior and her focus, all from eating a healthy meal at the beginning of the day. Children will always gravitate toward sweet and salty treats. However, the more their parents model what healthy eating looks like, the more likely they will only crave those treats once in a while.